Are you strong enough to stay focused on creating the life you want to live? Are you strong enough to believe in your dreams no matter what? Strength comes in all sizes, shapes and forms—physical strength, emotional strength, mental strength and spiritual strength. Create more strength! You can be physically strong but lack emotional strength. You can be spiritually strong but lack mental strength. Beef up all areas! Strengthen the weakness that holds you back from living your dreams. 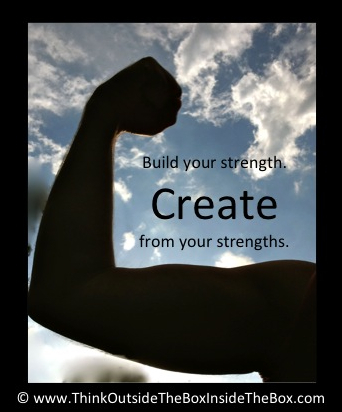 Build your strength. Create from all of your strengths. And don’t forget, no matter what, you are strong enough to create something from what you have right now.